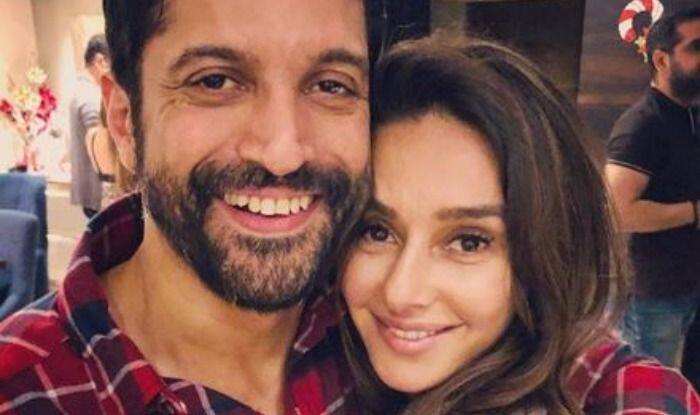 Farhan Akhtar to Soon Tie The Knot With Rumoured Girlfriend Shibani Dandekar? Farhan Akhtar and Shibani Dandekar are reportedly tying the knot soon. A report in a daily suggests that the two are really thinking of taking their relationship to the next level. While the couple has been flooding their social media with pictures of each other, they have never opened up about their dating life officially. However, recently, a source close to the couple told DNA, “They are extremely serious about each other and Farhan’s kids have also warmed up to Shibani, so this looks like the most obvious step for the two.” The couple has never shied away from showing their affection for each other on social media. From walking hand in hand to getting cosy in each other’s arms, they have left every hint about their affection for each other. Earlier, when asked about dating Farhan, Shibani told Mid-Day, “I don’t need to make an announcement about who I’m dating. It’s up to me to decide when and what I want to share about my personal life and it is up to the audience to decide how they look at it. How much information I want to put out in the public domain is my prerogative”. It all started when Shibani shared a picture with a man whose face was not visible. People started speculating about the man being Farhan. Later, he himself shared the same picture with a heart emoticon. After that, they posted another picture and captioned it as, “Look who I bumped into! So great seeing you”. If the news turns out to be true then fans will eagerly be waiting to see the two get hitched soon. On the professional front, the actor is currently occupied with the work of his upcoming film, The Sky is Pink. The film also features Zaira Wasim and Priyanka Chopra in pivotal roles.